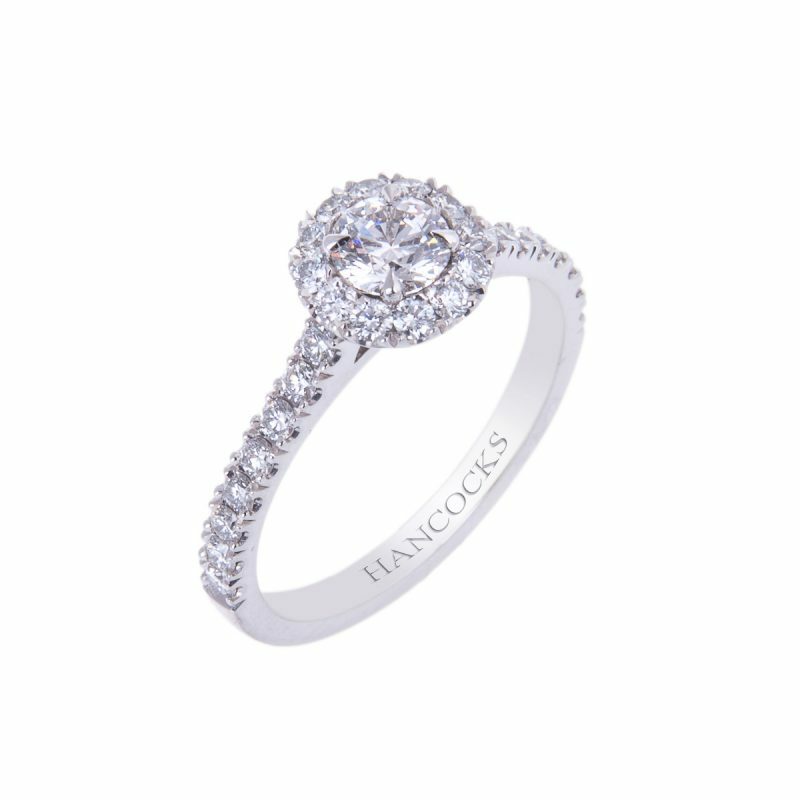 Dare to dazzle with this sparkling brilliant cut diamond single stone ring. 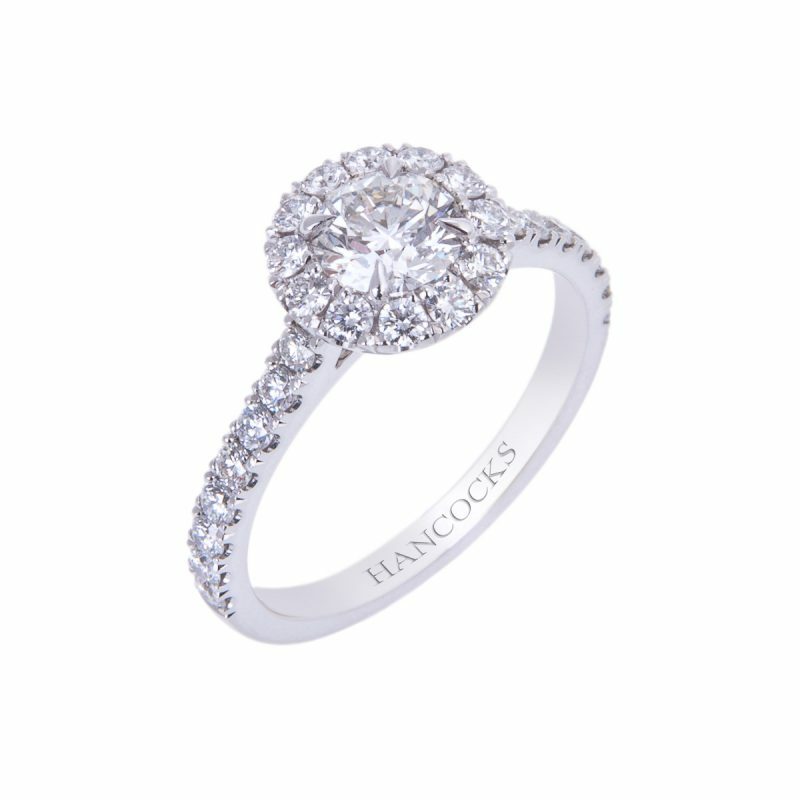 The central certificated diamond weighing 0.40ct is surrounded with a halo of smaller brilliant cut diamonds and its setting is handmade in a platinum. 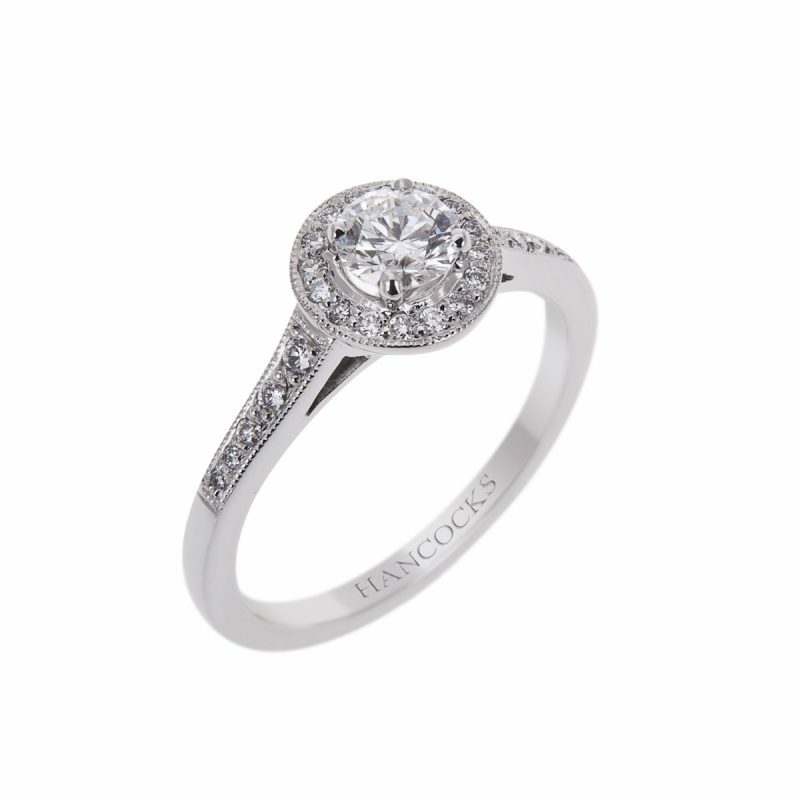 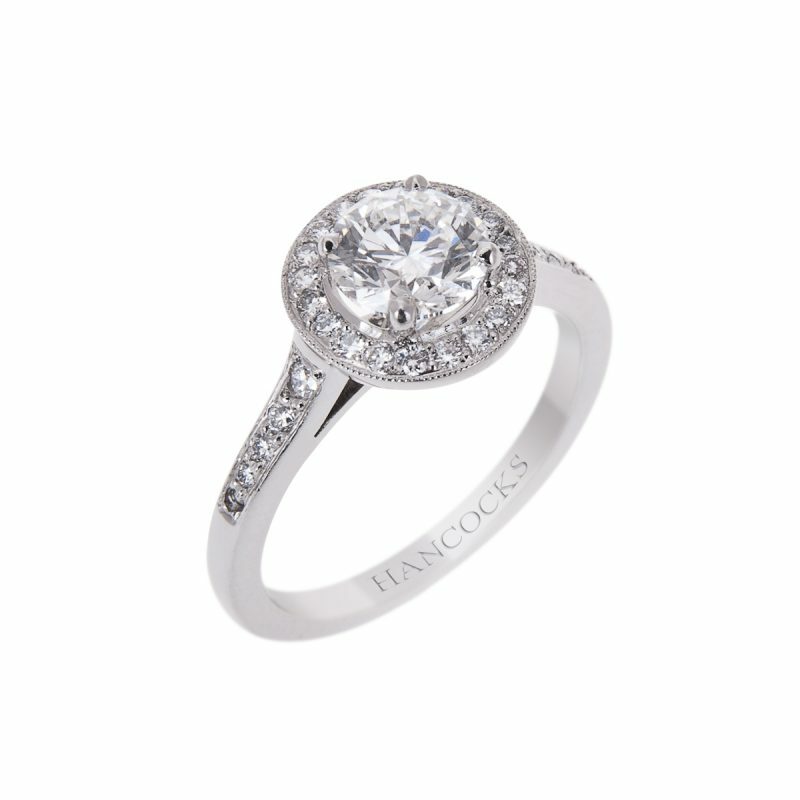 Enjoy the ultimate in luxury and elegance with this contemporary diamond engagement ring.